Approximately 25,000 drivers are arrested every year for violating Minnesota DUI laws, the state’s Department of Public Safety estimates. Various criminal and administrative sanctions will result. The severity and consequences depend on one’s past and present record of Driving While Impaired (DWI), as state law defines it. conviction also results in a criminal record; it could complicate your job search, particularly if you’re a commercial driver. What Is the Blood Alcohol Concentration Limit? Under Minnesota DUI laws, you can be arrested for drunken driving if your blood alcohol concentration limit is .08 or higher. For commercial vehicle drivers, the standard is .04 or lower. Whether you’re driving or parked makes no legal difference, the Minnesota Department of Public Safety advises. DWI convictions are also possible for lower blood alcohol levels. Such is the case when a police officer determines that alcohol or other drugs caused errors in your driving. 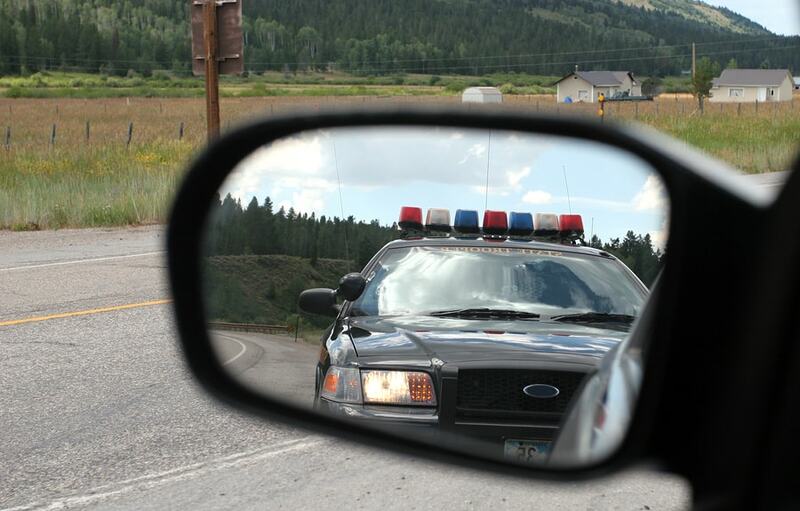 A police officer may stop you based on a reasonable suspicion of a potential impaired driving violation. To make his case, the officer will ask questions, like how much you’ve had to drink. They may also administer a Standardized Field Sobriety Test (SFST) to evaluate your ability to perform basic tasks. They may order you to take a Preliminary Breath Test (PBT) to determine your actual blood alcohol. Can I Refuse the BAC Test? Refusing a PBT isn’t an option under Minnesota’s implied consent law. It presumes that anyone driving a motor vehicle consents to a blood, chemical or urine test for the presence of alcohol or controlled substances in their body. Once a police officer stops you, he must read a statement explaining the test is mandatory, and refusing it is a crime, a legal overview from the Minnesota House of Representatives states. He must also explain that you have the right to consult a lawyer before the test proceeds. What Happens If I Refuse It? Refusing a PBT is considered a gross misdemeanor, per Minnesota DUI laws, that’s punishable by a one-year jail term, and/or a $3,000 fine. This penalty is a separate charge from DWI, DPS’s summary of Minnesota DUI laws states. State law imposes a one-year loss of driving privileges, or installation of an ignition interlock that will require you to provide a breath sample before you can drive. Can I Plead “Wet Reckless”? Unlike other states, Minnesota DUI laws allow prosecutors to plea bargain cases. This means you can plead guilty to a lesser offense, like reckless driving, and avoid risking the uncertainty of a criminal trial, where the judge determines your sentence. The penalties for a wet reckless offense depend on your case. Possible outcomes range from reduced sentences or probation, instead of jail time. Plea bargains are less likely for cases involving other aggravating circumstances, like a repeat conviction. First-time offenses are misdemeanors under Minnesota DUI laws, punishable by 90 days in jail and/or a $1,000 fine, plus a 90-day license suspension. The gross misdemeanor standard applies for blood alcohol levels of 0.16 or higher. If caught driving again under the influence, expect a one-year jail term, and/or a $3,000 fine. If your blood alcohol level is 0.16 or lower, you’ll also face a one-year license suspension, or one-year ignition interlock, with a restricted license. In the case of a higher BAC, the penalties increase to two years. You may also lose your license plates or have your car impounded. Criminal penalties remain gross misdemeanors punishable by a 1-year jail term, and/or $3,000 fine, regardless of blood alcohol level. However, your license will be canceled as “inimical to public safety,” as Minnesota DUI laws define it. You’ll also get placed in a three-year ignition interlock program, with a restricted driver’s license, on completion of treatment. Your license plates are also suspended, and your vehicle will be forfeited. The stakes get serious if you rack up four or more convictions in 10 years. Criminal penalties mandated under Minnesota DUI laws include a seven-year prison term, and or a $14,000 fine. Your license is also canceled, and you’ll be placed in an ignition interlock program for four to for six years, according to DPS’s overview. You’ll receive a limited license for the first year, and a restricted license for your remaining time in the program. The state will only remove the interlock device after you show four to six straight years of no alcohol or drug use. As with a third offense, your plates are confiscated, and your vehicle is forfeited. As this rundown shows, getting arrested for driving drunk behind the wheel is a serious matter. If you can hire a criminal defense lawyer, you may be able to accept a lesser punishment, depending on the circumstances of your case – unless you’re a repeat offender. In that case, the price of a sloppy drunk night out can rapidly escalate from losing your license to longer jail terms, heftier fines, and a criminal record that will make it difficult to accomplish tasks like renting an apartment – not mention the social embarrassment of having your case publicized by local media and law enforcement. Know the consequences so you can avoid these situations. Hey Buddy!, I found this information for you: "Minnesota DUI Laws – A Thorough Rundown". Here is the website link: https://www.duiauthority.com/minnesota-dui-laws/. Thank you.